With an extensive collection of designer sunglasses brands ranging from high end and luxury labels such as Gucci, Prada and Tom Ford to the modern and trendy brands like Emporio Armani, Oakley, and Ray-Ban, Tortoise+Black are sure to have a brand to suit your style. Our primary focus is to provide a simple online shopping experience teamed with the best customer service possible and expert advice. 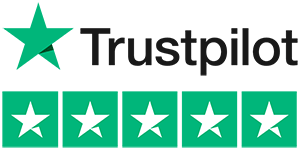 We are proud of our 5* customer rating on TrustPilot. So, why the name Tortoise+Black? No fancy or convoluted story behind this. What are the most popular frame colours? You guessed it, Tortoise and Black. First launching in 2016, TortoiseandBlack.com has quickly become a well-known name in the eyewear industry for high quality products teamed with unrivaled expertise and service. We don’t hide the fact that the team behind Tortoise+Black are the same as RxSport, Europe’s leading sports eyewear specialists. Therefore Tortoise+Black was created with one clear mission – provide that same level of expertise and unrivaled customer service to the fashion eyewear industry. Remember, we’re only a click or call away. We are proud to be authorised dealers for all the brands we stock so you can be sure you are receiving genuine, high quality products from us. We also offer official Oakley and Ray-Ban Prescription lenses. If you’ve got any concerns, please get in touch. Don’t see the style you’re looking for? If you’re browsing our site but cannot find the exact style or colour you’re looking for, let us know. Simply get in touch with us via phone, email or social media and we’ll do our best to try and source it for you.